Product prices and availability are accurate as of 2019-04-19 23:42:13 UTC and are subject to change. Any price and availability information displayed on http://www.amazon.com/ at the time of purchase will apply to the purchase of this product. 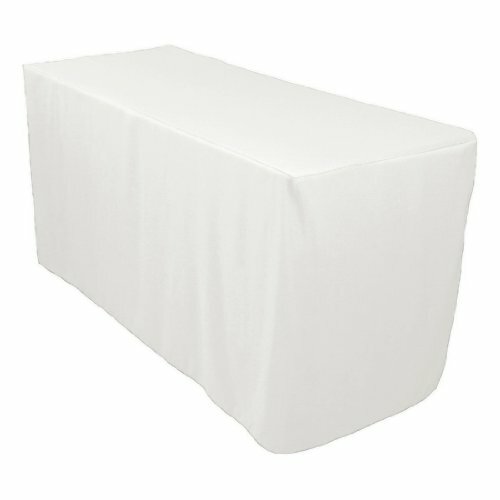 Competitive Edge Products is pleased to present the famous 4 Foot Fitted Polyester Tablecloth. Now, with the “4 Foot Fitted Polyester Tablecloth" you can have the perfect buffet tables. This beautiful tablecloth has one vertical slit with Velcro attached so that you will have easy access to the items that you need to hide under the table. When you organize a special event or a wedding, you have the perfect tablecloth because it is wrinkle resistant and machine washable. Our 4 foot fitted polyester tablecloths are perfect for display or buffet tables. Each tablecloth has one vertical slit with Velcro attached for ease of access to items that need to be hidden under the table. The 4 foot fitted royal blue polyester tablecloth is an easy and elegant solution for any table in your wedding or special event.